on successful completion of the program. Patel Group of Institutions helps the students in meeting their career aspirations by inviting various companies for campus recruitment. Each Institute of the group has a full-fledged & dedicated placement cell. which is in constant touch with the industries and essentially keeps the students informed about the requirements and developments in different industry sectors regarding the career opportunities available. Successful placement foreach student at each institute of Patel Group is a result of a very systematic interaction with the industries and continuous career counseling to the students. Right from the inception into the program, each student is very consciously counseled as regards to his/her career aspirations and options. which in turn is very vigorously followed up with the potential companies for participating in the final and summer placement program of the Institutions. This not only helps the students in getting their 'dream’ job but also assists ''visiting companies in identifying the 'right' candidate for their organization. Workshops on career counseling, business etiquettes, personality development, group discussions and interview skills, verbal and nonverbal corporate communication skills etc. are regular feature of Patel Group of Institutions. The placement cell is also guided by a Faculty Advisory Committee and supported by Student Placement Committee. 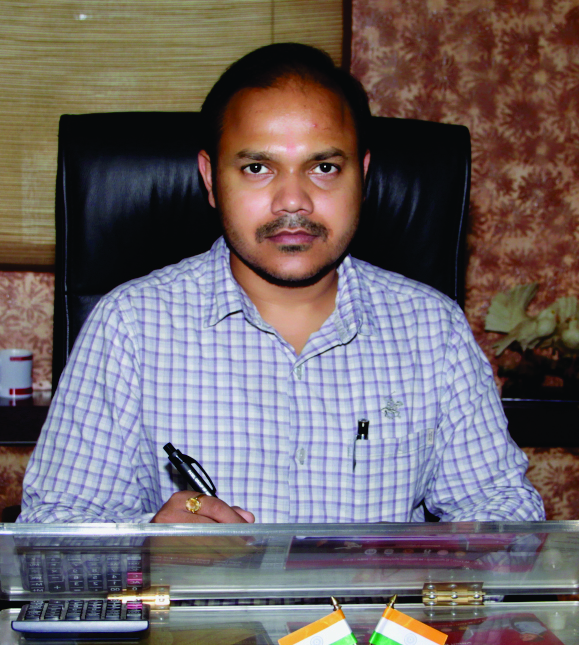 Vice Chairman Patel Group of Institutions. Bhopal & Indore. Dr. Patel is a young, vigorous, dynamic & a zealous personality who believes & follows the most modem technology in today's market scenario in a view to hone the creativity of the young mind’s toils peak. Computer Engineer with a vast teaching & industrial experience. he knows the needs related to the qualities of human resources required for corporate sectors & educational institutions. 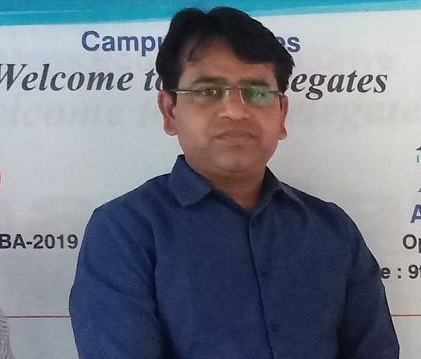 He has handled various prestigious assignments in the industrial sectors & is deft at maintaining & establishing relations with the industries & organizations& possesses a forte in handling the needs of organizations in conducting campus interviews for placements. He is young dynamic & hardworking, with altogether 10 years of experience in the field of engineering and management. Always ready to face the cutting-edge demand & requirement of the industries. 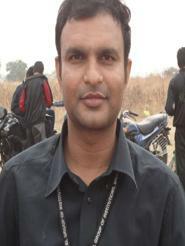 He has Completed his MCA & M.Tech in CSE. The Placement facility is available to all the students registered with the Training and Placement Cell through the Online/Offline registration. Any student who does not register within the stipulated date will not be permitted to participate in the process. Acquisition & managing the latest data of the student is the combined responsibility of the T & P Cell & the students themselves. Hence every student is required to check the status of his/her latest data with the T & P Cell. Students are required to keep their Identity Cards with them at the time of appearing in the selection process and shall produce the same on being asked for by either the selection team members or the placement cell team. Any student who has been selected by a company through a close campus will not be permitted for attending the next close campus unless & until the difference in the offered packages is Rs. One lakh or more. Once 85% of the students of a particular branch are placed. a second opportunity may be provided. In case of a student opting for the second job and getting selected he/she has to submit a letter of regret (for the first organization) to the T&P Cell in the specified format immediately on getting the second offer. Students are advised not to contact directly the selection team members at any circumstances for placement purposes without seeking permission of the T&P cell. Placement office takes the responsibility of centrally receiving offer letters. distributing and dispatching the acceptance letters to the companies. The offer letters need to be sent to the Placement Office for handing over to the students. Offer acceptances (from the students) received will be sent to the company by the Training & Placement Cell. (a) Report at the placement center 15 minutes before the interview starts. (b) Keep an updated copy of your resume with you. (c) Keep enough your documents/certificates/photographs (with spare copies) ready and arranged in order. (d) Unless specifically asked to report later. students waiting for their turn should wait patiently at the placement center and not loiter about. You alone will be responsible if you miss your interview. (e) Present yourself in neat and ironed formal dress and polished formal shoes. Nails ought to be clipped. If a candidate who has forwarded his resume for a particular company decides not to appear for the test/interview, he/she should inform the placement center as soon as possible. This will not only enable the placement center to give an accurate estimate to the company of the number of people appearing, it will also help other students who would otherwise miss out on a good chance. Only those students are eligible to participate in the campus drive, who have registered themselves in Training & Placement cell and properly updated their data. Placement Cell will compile the Data & Upload on the Website to show & send the Data to HRs of different companies. HRs will short list the candidates according to the eligibility criterion. Placement Cell will distribute the Hall Tickets to the eligible students. Other Processes are same as given in Procedure of Open Campus Recruitments. (i) Collect the data of all eligible students from all the colleges, compile the data & send to COMPANY HR for permission. (ii) Online free registration of students which can be viewed to you in your office so that you have a good idea about the quality & number of students. (iii) Distribution of Hall Tickets without providing them the Roll Number. It is so because if it is provided in advance & students are absent. Then many seats will be left vacant. not only this it would also create a problem to distribute the Question Papers. (iv) At the time of entering in to College Campus we will provide the Roll Number to the candidate. (v) Seating arrangement will be already done according to the Roll Numbers. Our committee is capable to make it convenient for candidate to seat in their place in examination within 60 min. (vi) Immediately after completion of Written Exam. PPT will start in the Auditorium. (vii) Mean while papers will be checked & Result will be prepared. (viii) Result will be declared in the Auditorium & short-listed students will be called in the seminar room. (ix) Short listed students will be instructed for further processes. (i) We will inform all the TPOs about the Campus Drive & call students themselves for data submission to our college where we will verify the data with their originals& after compilation, we will send the data to generate the Hall Tickets. (ii) We will collect attested photo copies of all the original documents of the students. which we can handed over to you at the time of Campus Drive or before as per your instructions. (i) We can provide facility on our website for online submission of data from the students with the attachments of scanned copies of their document which will be visible to you at your office. (ii) It is possible to face problems in online submission from the students because process is new in that case. we can scan their documents in our college & after compilation they can be sent to you in a DVD. We can arrange written examination at a single place for easy monitoring by you in our auditorium in a single shot.